Artificial Intelligence or Machine Learning, as it’s better known as, is something that has garnered my interest over recent years. I even used the technology to design a company logo for a side hustle project. The expanding uses for Artificial Intelligence in business is fascinating and only becomes more exciting to see what is in store as the technology continues to mature. After being in the business for 25 years I have learnt and experienced first-hand the ever-changing landscape in which marketing continues to grow. We have seen a huge change in the industry over the last ten years, with the most prevalent and revolutionary change being the utter dependence of the online sphere. I have grown my business from strength to strength in the online realm, with platforms such as Twitter being a core tool. As the industry continues to evolve, along with its customers and consumers, it is only fitting that the technology grows along with it. AI technologies have been proven to streamline operations and speed-up internal processes and fulfilling its desired purpose. Artificial Intelligence has also been seen to have a direct effect on enhancing personalised communication to create deeper engagement with customers through combining the technology with personalisation. The purpose of Machine Learning in business is to tackle the more mundane, repetitive roles. This in turn, frees up more opportunities for employees to focus on the more fulfilling and complex tasks at hand. Thus, giving a higher sense of achievement and work place satisfaction. Business desires for the use of Artificial Intelligence include increased cost efficiency and acceleration of decision-making. While increasing sales revenues surprisingly came out as one of the lowest desires of use. As with anything new that could potentially revolutionise aspects of business there are worries. As seen with the emergence of digital marketing that many companies struggled to get to grips with initially. There are worries that the prevalence of Machine Learning in business could mean a loss of jobs, due to the potential to automate human activities. In 2013, a study at Oxford University predicted that 47% of jobs could be automated by 2033, which the growing emergence of AI in organisations looks set to support. However, I found a survey by the Harvard Business Review which states these fears may be relatively unnecessary, as Artificial Intelligence is being used in computer-computer activities. It looks to replace jobs that would have already been computer based, just enhanced by AI. In fact, another survey completed by EY goes as far as to say that a clear majority states Machine Learning will more likely create more jobs than take them. As far as the benefits of Machine Learning go, there is obviously a wide range of benefits for its implementation in business. However, as Nigel Duffy, EY Global Innovation Artificial Intelligence Leader says, there is a shortage of talent when it comes to AI practitioners. Therefore, there is an increased need for businesses to continue to invest in training programmes in order to attract and retain experts within the field of Artificial Intelligence. This shortage of talent within leading AI practitioners could result in a lack of diversity. It is important that the talent is diverse due to the fact that in order to obtain racial and gender diversity in Artificial Intelligence programmes, this must be integrated at the coding stage. As it is still a growing software, it is important that while businesses experiment with Machine Learning, performance should be monitored and analysed to attain whether or not it will become a success and used ubiquitously in the future. For now, businesses are largely focusing on learning and piloting the technology before defining specific outcomes. This highlights the importance of educating people on all aspects of Artificial Intelligence and machine learning, as there is clear need for an increase in talent as well as the more obvious fact that it is still an emerging technology. 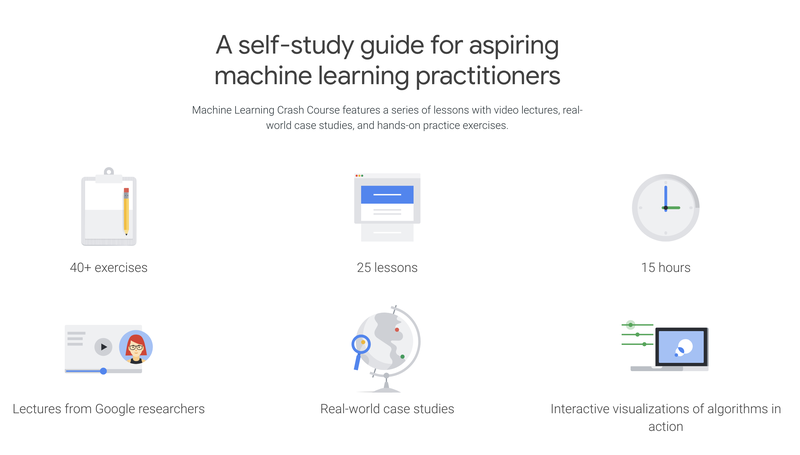 Google are offering a new online course in which participants will learn about AI and Machine Learning. Not only is this course extensive and accessible for all levels of expertise, it is also completely free. 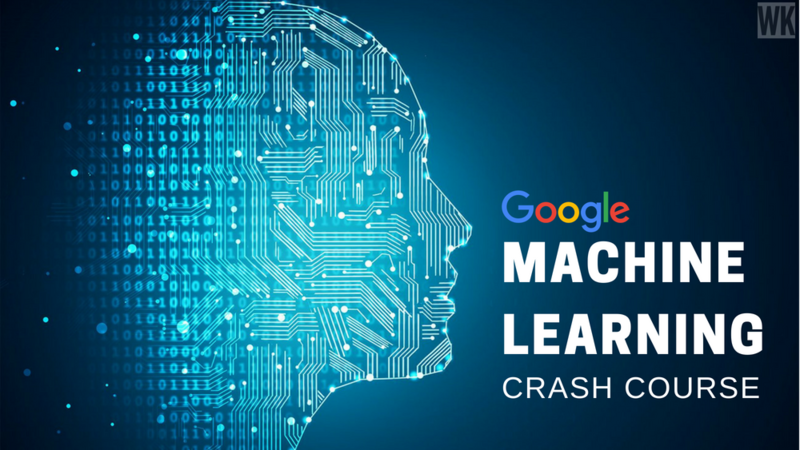 Originally designed in order to give Google employees a practical introduction to AI and Machine Learning fundamentals with 18,000 employees are already enrolled. If you’re thinking you’d like to find out more about how Artificial Intelligence can enhance your business you’re in luck as Google is rolling the course out to the general public. 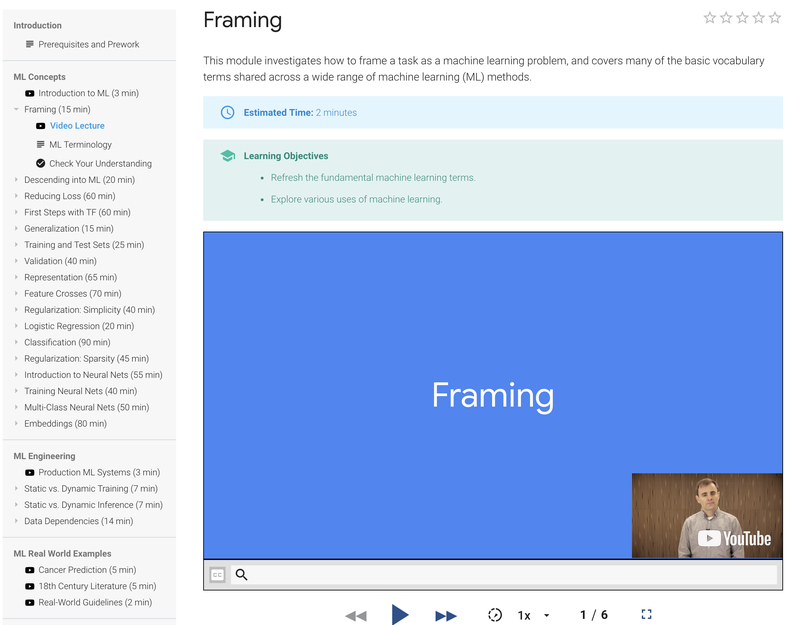 For those of you interested in finding out more; the course is run on TensorFlow and is listed as taking around 15 hours to complete and includes: interactive lessons, lectures from Google researchers and over 40 exercises to complete. There is no need to worry if you don’t own specialist software as the course is run entirely online. It is recommended by Google that you have a basic understanding of algebra, beginners level is all you need, and that although a proficiency in higher math may be helpful, it is not at all essential. It would also be helpful to dabble in the art of programming with familiarity in Python, but there are tutorials available online if you don’t. So, if you think the course could be beneficial to streamlining your business, I’d love to know how you find it. If that’s not enough to entice you in, how about the recent insight into the salary of top Artificial Intelligence researchers which found that even at a non-profit, AI specialists were earning more than $1 Million across the world.